Happy Friday! Today I would like to show you Zoya Tinsley from the Summer 2013 Irresistible Collection. Zoya describes Tinsley as a rose gold metallic. This is two easy coats with a top coat. The application was wonderful - as I have noticed with all of the polishes from the Irresistible Collection. Tinsley is unique to my collection. I don't really think of rose gold when I look at this. Sure, it's a rose color, and it has gold in it, but my idea of rose gold is Orly Rage. The gold in Tinsley reminds me of makeup products that have a gold over-spray. It's actually really cool looking! This is a great polish for the summer! Have you picked any Zoya's up lately? If so, which shades have been your favorites? 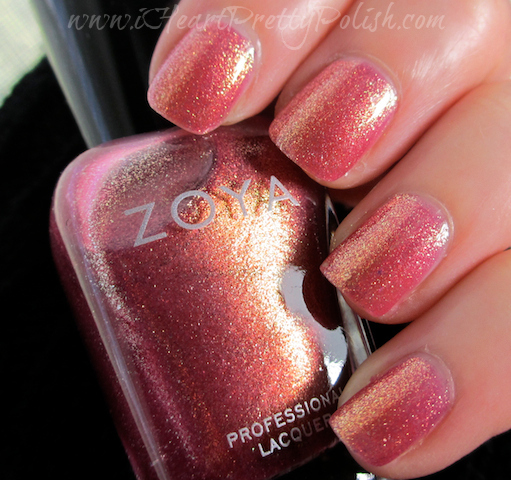 I have a Zoya referral link at the bottom of my site. Feel free to use that link to receive a free bottle of Zoya nail polish (new customers only). If you add two more to your cart, you will receive free shipping. Note: Zoya Tinsley was provided to me for my honest review. See my Disclosure Policy for more information. Yes, it is pretty! Thanks for stopping by. I love shades like these! There so sparkly on the nails so Tinsley is gorgeous! Thanks! 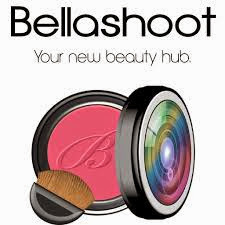 I bet it would look awesome on you! That's pretty! Lots of great shine and dimension! Yes, it does! Thanks for your comment. So pretty! I love the texture! I'm going to have to look into this collection. Zoya is becoming one of my favorite brands. Thank you for stopping by:) Zoya is pretty awesome! I really like this! It is so different, and the gold really makes it pretty! Yes, it is really unique. Zoya does these types of finishes so well! I like that Tinsley leans a bit warm, makes it a great summer color. Yes, they do a great job. It is wonderful for summer. Thank you Yun! Have a great day.